for a given product, then all the demand for that product was satisfied in the given period. How do I know if I have Lost Sales? 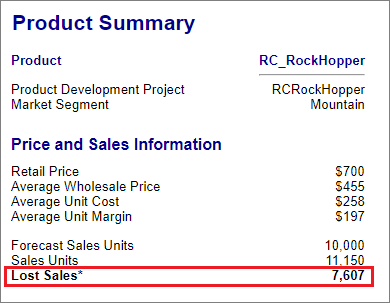 The Product Summary report and the Market Summary report both show the Lost Sales of your firm (if there are any). Your product’s delivery index will decrease if you have Lost Sales as your customers have to wait for goods to be delivered to your retailers. How do I avoid Lost Sales?